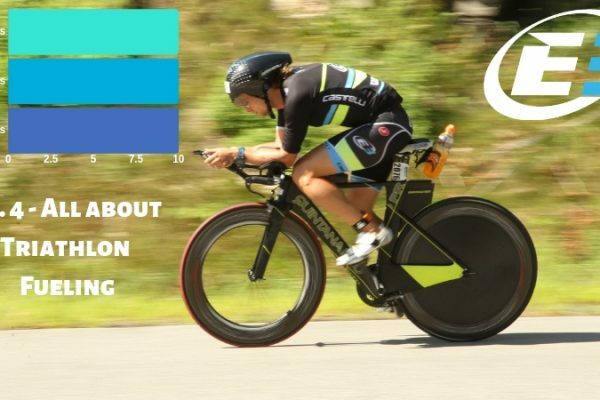 As the racing season gets under way, this weekend was a busy one for our E3 athletes! 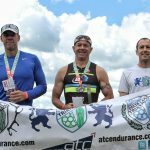 On Saturday – we had 3 athletes kicking of their 2017 tri season! 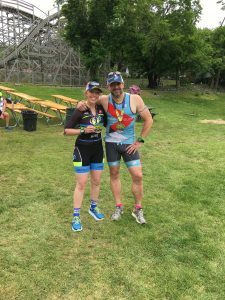 Meghan Irvine and Geoffrey Brown both opening up their 2017 season with sprint distance triathlons as they get ready for the local favorite – Patriot 70.3 in just 2 short weeks, and their first Ironman – Ironman Mont Tremblant! 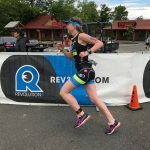 It’s not easy an easy feat to go all out for an hour plus, when focusing on long distance training and racing, but both Meghan and Geoffrey totally rocked it! 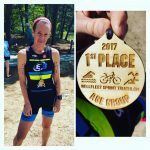 Meghan won her age group at the Wellfleet Sprint Triathlon, while Geoffrey Brown finished 3rd at the Cooperstown sprint triathlon! 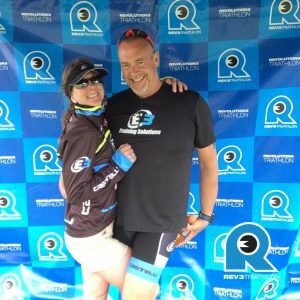 And then we had Meaghan Mitchell who competed in her very first Olympic distance triathlon – the Rev 3 Quassy! 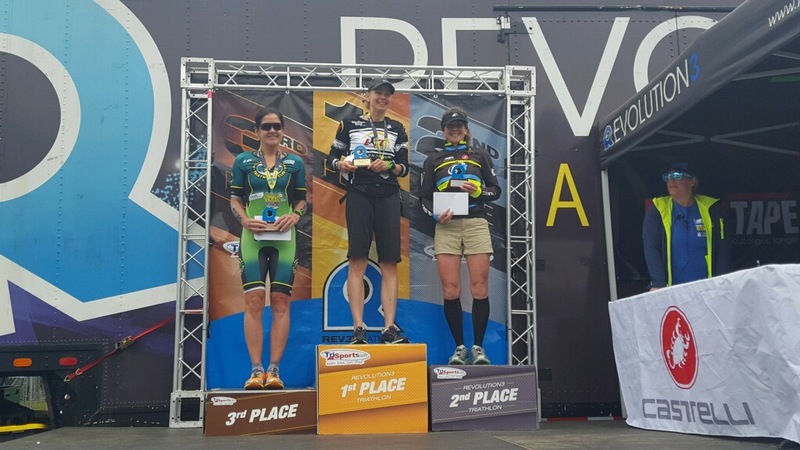 She smiled her way through the swim, bike and run all the way to the top of the podium! Not a bad way to step up to the distance! 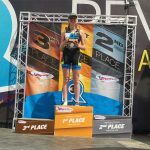 On Sunday – we had a total of 6 athletes racing at the Rev 3 Quassy 70.3, Ironman 70.3 Raleigh and at the Rock Hall Sprint Tri. 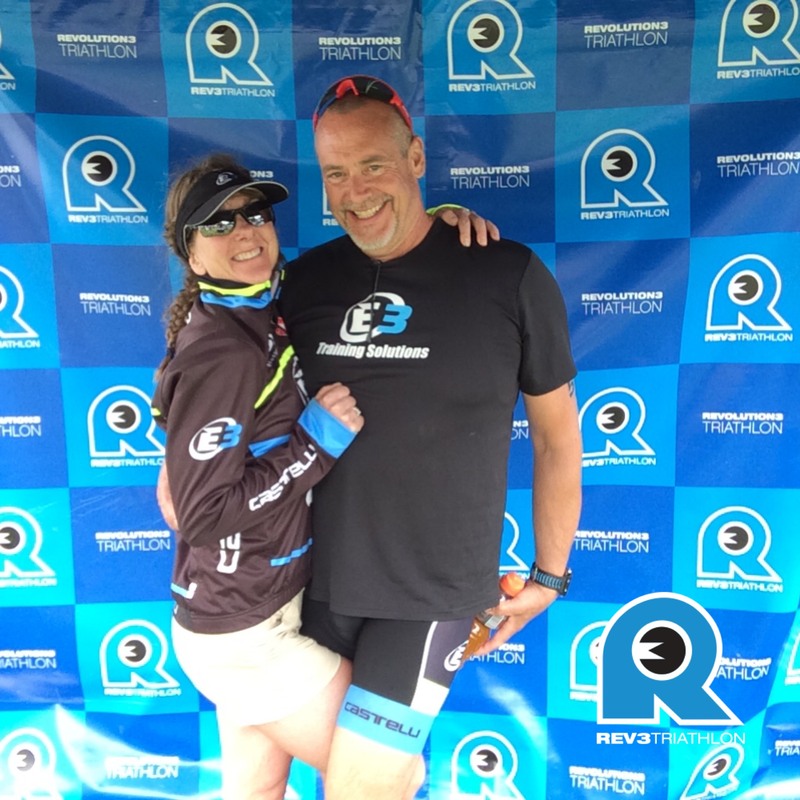 Della Jennings, Craig Kilmer, Pouya Ashtiani all took on the “Beast of the East” Rev 3 Quassy 70.3, while Lindsey Tunak competed in the Aquabike. Della who has been struggling with injuries for a few years, returned to racing in style and finished 2nd age group! Great job Della! 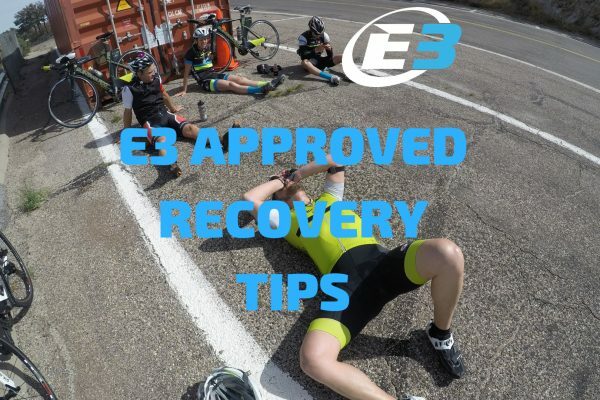 Craig who was competing in his very first 70.3 had an unbelievable swim, followed by a very strong bike but unfortunately his day came to an end when his front tire blew up flying downhill at mile 50 of the race. Thankfully Craig didn’t get hurt, but unfortunately wasn’t able to finish. He will be back to show of all his hard work at IMLP in just 7 weeks. 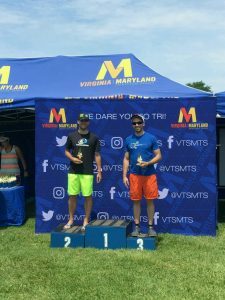 Pouya had a great day as well finishing his first 70.3 EVER and conquering the “Beast of the East” in style. 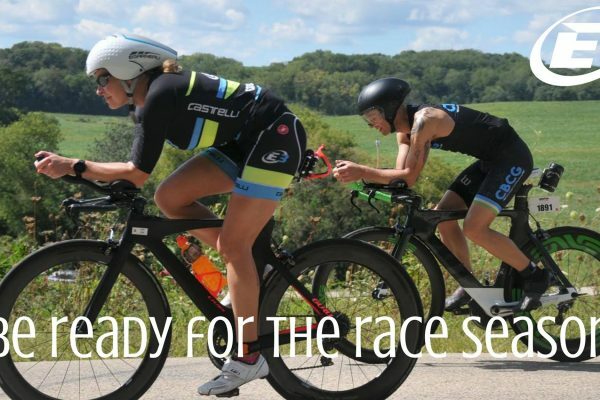 And it was great confidence for all 3 athletes as they get ready for Ironman Lake Placid next! Lindsey Tunak dusted the off the cobwebs with a strong finish at the Quassy aquabike in preparation for the inaugural Lake Placid 70.3 in September. 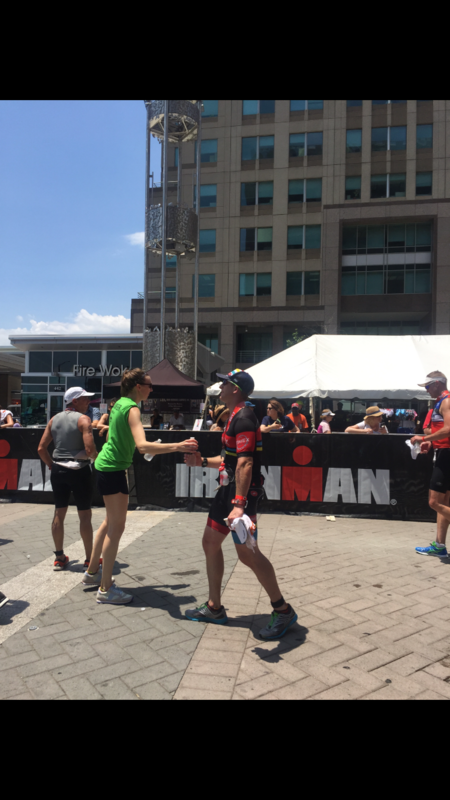 At Ironman Raleigh 70.3, Ryan Zelinski opened up his season with a strong showing, after becoming a father just few months ago. And last but not least, Jon Mellinger continued his string of podiums this year, with 2nd Age Group and another top 10 overall finish at the Rock Hall Sprint Tri executing super solid swim/bike combo and a solid run. Great job everyone! Way to represent!